Tricyrtis 'Hatatogisa'. Light blue flowers spotted with deep purple bloom on long, arching stems over dark green spotted foliage. 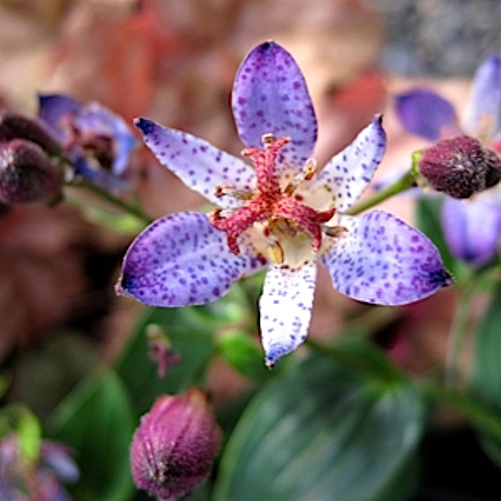 Toad Lily.